Developer Rogero has released a new version of his CFW built for firmware 4.40. Please note that this can only be installed over an existing CFW 3.55/4.21/4.30/4.31/4.40 and that it will NOT install over any OFW higher than 3.55. Check out the changelog and the download link provided below. - Rebuilt the CFW with minimal patches needed for similar OFW Stability, also adding full compatibility with multiMAN Tools. 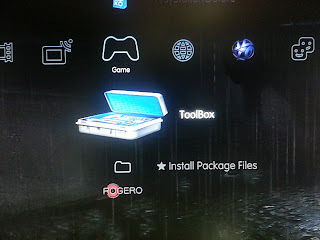 - Added the ToolBox to [app_home/PS3_GAME] to restore multiMAN/StealthMAN launch mode from ToolBox. - Added both noBD/noBT patches to allow installation on consoles with broken BluRay Drive or Bluetooth board. By Downloading and Installing this custom Firmware you take full responsibility for your actions. I nor Rogero will be found accountable for any damages related to installing this firmware.